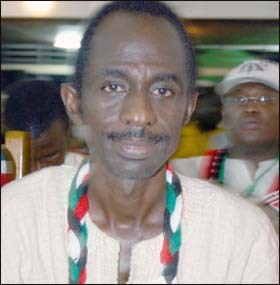 The NDC General Secretary, Johnson Asiedu Nketia known in political parlance as “General Mosquito” has said that president Mills has a good track record when it comes to fighting corruption than the previous regime which was headed by president Kufour. He said, “Mills anti-corruption record is better than that of Kufour. Under president Kufour, there was corruption everywhere and a report from an independent anti-corruption agency (Amnesty International) shows that Mills is doing well in fighting corruption”. He added that a lot of judgment debts were left behind by the previous administration. “There was recklessness in spending on the part of the NPP government and contracts awarded to party cronies”, he added. On why ex-president Rawlings has been a critic of the Mills administration especially on the pervasiveness of corruption, the NDC scribe said “everyone is entitled to his opinion but it is not every opinion that is true”. The facts according to him speak for themselves that, corruption under the Mills administration has reduced drastically. He said the government of prof. Mills is on course in delivering on its “Better Ghana Agenda” promised Ghanaians and this he said, is clear from the numerous projects executed across the length and breadth of the country. He said the difficulty is that, “we are not telling the stories of our success to the people”. Speaking on TV 3 Current Affairs programme, “Agenda”, the NDC scribe said the government of prof. Mills is busy governing the country than doing propaganda. When asked to grade the performance of the government, he said, “I am not in the business of grading because if I do, it will become a front page story of all the media houses”. He said the National Youth Employment Programme (NYEP) has been reshaped to train beneficiaries such that they will be self-employed after the two year period that they will be engaged. According to him, the programme is not there to employ people permanently and that explains why some people had to be disengaged when the NDC government took over in 2009. “It wasn’t politically motivated. Unemployment has no political coloration- whether CPP, NPP, NDC, all are affected” he concluded.